This morning, we are featuring a fantasy adventure series from author Paul E. Horsman. In the past, we have reviewed Shardfall from Horsman's The Shardheld Saga and we have reviewed Rhidauna: Book 1 of The Shadow of the Revenaunt series. 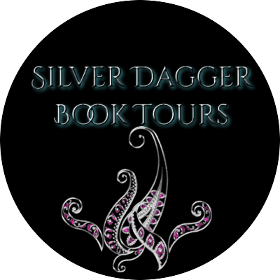 While you are learning about the Wyrms of Pasandir series featured today--be sure to check out his other novels and series & enter for a chance to win a $10 Amazon Gift Card in the book tour giveaway at the end of this post. Seventeen-year-old Eskandar is the lowest of the low among the crew of the Navy sloop Tipred. As ship's boy, he runs messages, gets the dirtiest jobs and tries to stay out of his betters' way. It is a dull but safe life, for the tired old Tipred patrols a shipping lane to nowhere and nothing ever happens to disturb their peace. 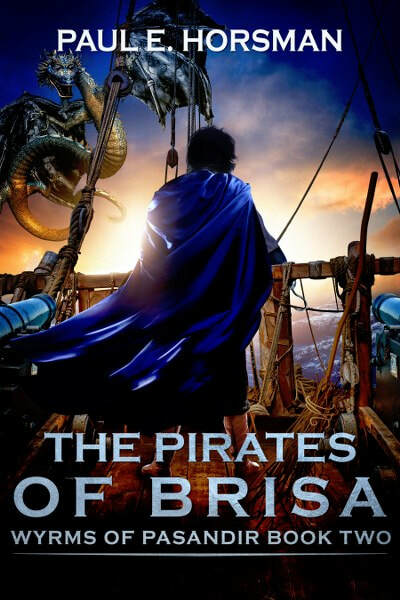 When young Eskandar leaves his ship with the tough broomrider girl Kellani, he has no idea how much his dull life in the navy is about to change. He is a Wyrmcaller; a person of great magic, a speaker with wyrms, and the defender of Bodrus the Sleeping God. Quite a change for a one-handed seventeen-year-old, five-feet-plus ship’s boy. Against all odds, Eskandar and his bunch of ragtag youngsters have managed to capture a powerful Qoori fourmaster warship, and used her cannons to blow up the pirate harbor of Brisa. Victory! But his enemies won’t give the young wyrmcaller time to bask in the glory of a job well done, and soon the voice of Teodar in his head summons him north, where new and even more powerful pirates create havoc on the seas. Once inside Smalkand Keep, and with his main force in the ships still days away, Eskandar and his small group find themselves under attack from Bokkaners and other minions of their ultimate nemesis, the lich lord. 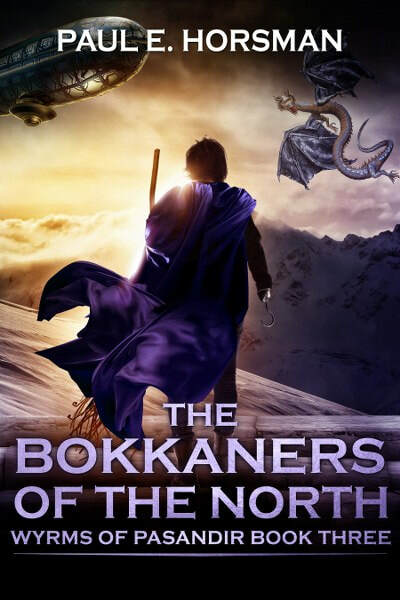 New adventures in the mighty, snowcapped Peaks, at sea, and in the rich lands of the Hizmyran kingdom await our heroes in ‘The Bokkaners of the North’, the third book of Wyrms of Pasandir. Trade had been Shaw’s life, her dream, her future – until a terrible fire destroyed her parents and their business. 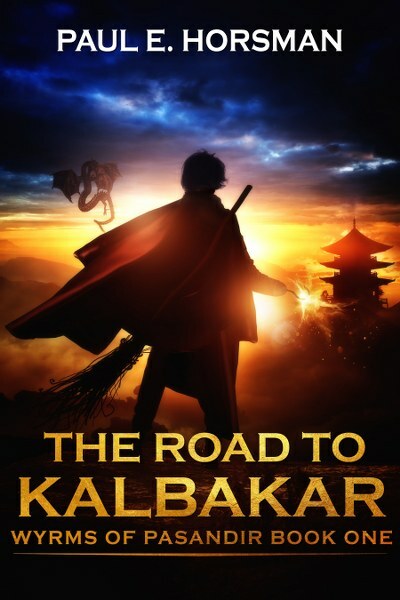 Now the 15-year-old orphan follows the wyrmcaller, using her mercantile genius to sell his honestly gained loot and finance his battle against pirates and jinn. When Wyrmcaller Eskandar leaves for the north, she gets the chance to branch out. 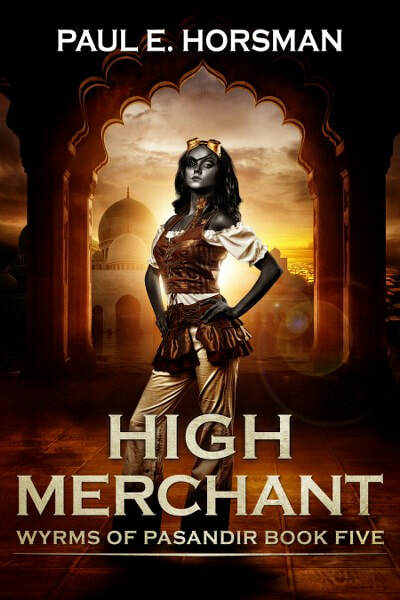 A large cargo of confiscated foreign goodies brings in much more gold than she had expected, and with that money she opens her first trade center. 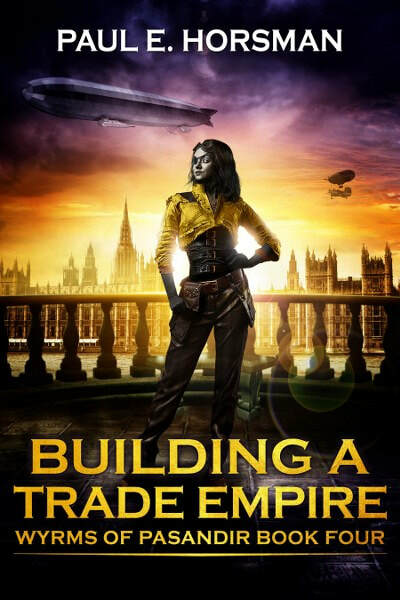 Armed with her inborn stubbornness and her fire-hardened will to become a powerful trader, she dives into the business world of the Weal Nations; battling scheming financiers and protecting the rights of the people she employs. Aided by Nate, the only true love in her life, she fights her enemies on land and at sea, conquering pirate vessels, islands and important companies on her way to become a rich and powerful High Merchant. Fifteen-year-old Shaw is already at the head of a fast-growing transnational business. With the acquisition of the great WyDir airlines company, she became a power in the lands of the Weal, and now she is ready to expand. She manages to get an airship concession from the king of Hizmyr, a large and rich country to the north. This brings her into conflict with the local guilds, who have a monopoly on all businesses in that kingdom. The Guilds of Hizmyr are ruthless and go to any length to maintain their hold over the king. Soon, Shaw finds herself embroiled in a battle demanding all her grit and ingenuity to win. Meanwhile the populace, fed up with their poverty, is on the brink of rebellion. To save her plans, Shaw must not only defeat the guilds, she must prevent a civil war as well! Paul E. Horsman is a Dutch and international Fantasy author. Born in Bussum, a quiet little suburbal village in the Netherlands (1952), he now lives in Roosendaal, a town near the Belgian border. After finishing school and doing a stint in the army in tropical Surinam, he served for thirty years as a Scoutmaster. Professionally, he earned his bread in various business capacities. From 1995 to 2012 he was an instructor at a large educational institution - where he explained to foreigners the wonders of the Dutch language and customs - until Governmental budget cuts terminated both the school and his job. Since then is Horsman a full-time fantasy author. His first three Dutch books have been trade published in The Netherlands by Zilverspoor. 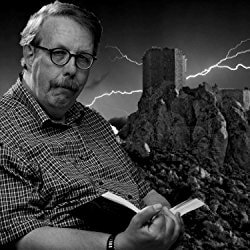 His English books and later Dutch books are self-published under the Red Rune Books label and appear at Amazon and many major on-line bookstores, both in print and e-book. His tales are a mixture of high fantasy, mythology and steampunk, and are characterized by their positive mood. Equality and friendship, courage and determination, humor and growth form some of the colors with which Horsman paints his stories. His worlds and their peoples are diverse and full of adventure. And behind it all there is always that dusty scent of old death so characteristic of dungeons, and the smell of dragons, kobolds or other denizens of other worlds.